As part of the V Co-operative Summit of the Americas, on 23 to 26 October 2018 in Buenos Aires, Argentina, the II Housing Co-operatives Meeting will be held, following the meeting that took place at the IV Summit in Montevideo (2016). To exchange perspectives on the contributions of the co-operative movement in solving the issues of access to housing and habitat in the Americas. To analyse the relationship between co-operatives and the State, mechanisms for public policy advocacy for the sector and promoting joint problem-solving efforts in each country. 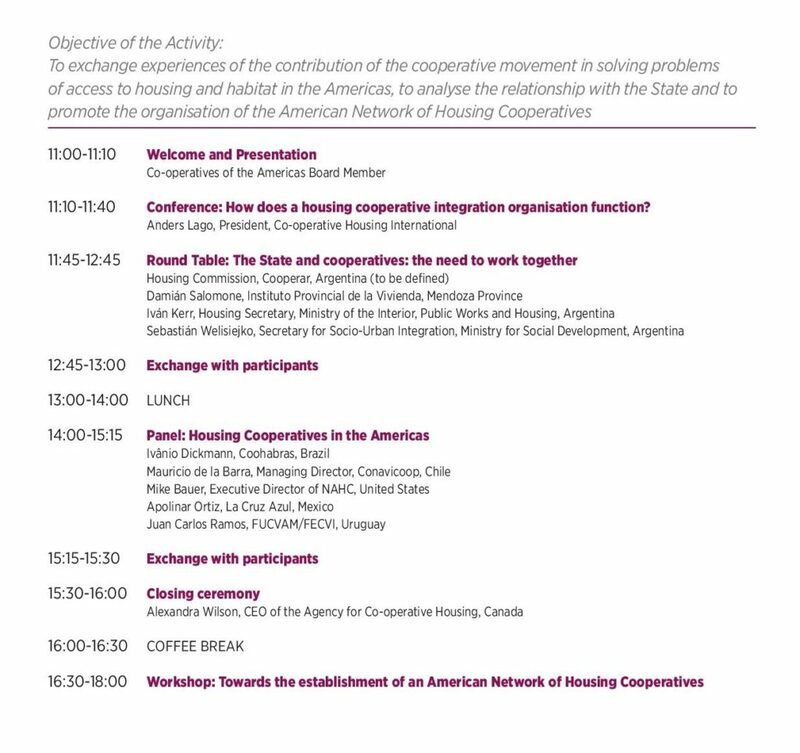 To set up the Co-operatives of the Americas Housing Network to bring housing co-operative organisations together and to place the interests of the sector on the regional agenda and that of the International Co-operative Alliance. integration strategies in the region. Secondly, a panel will take place specifically to debate the relationship between the housing co-operative movement and the State. This includes the theme of access to land, analysing state regulation and competence, the type of property (collective or individual) being promoted, modes of access to credit, including the experiences of social mortgage credit, mechanisms for advocacy and agreements with the State, etc. including those responsible for monitoring the proposal. To find out more click here. To register click here. 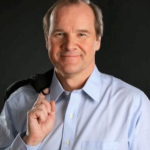 The President of Co-operative Housing International, Anders Lago, has been invited to give a keynote speech on the international housing perspective at the meeting. Also invited for the closing speech is Alexandra Wilson, former Treasurer of CHI, and Board Member of the International Co-operative Alliance.